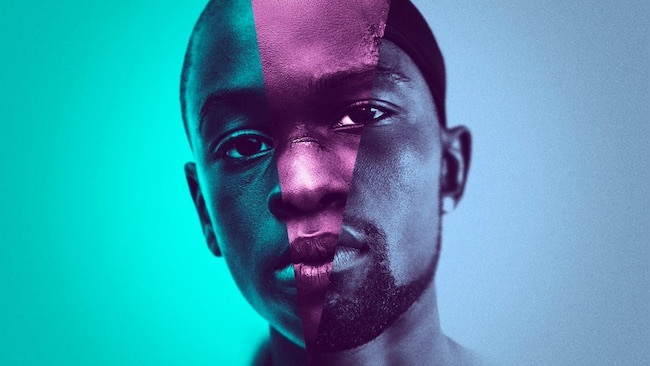 Moonlight is a coming-of-age film that erases all the cliches of its initial setup, its premise paving the way for an emotionally resonant story told across three time periods. That premise also places us at arm’s length from some of the characters, but any faults in the narrative or in the supporting character development are mostly overshadowed by the intense focus on Chiron’s story. Barry Jenkins has a singular vision here that comes to fruition through Chiron, and the three actors hired to play the part–Trevante Rhodes, Ashton Sanders, and Alex Hibbert–all do an excellent job of conveying where the character is at in his life. The rest of the cast members–Naomie Harris and Andre Holland deserve shoutouts–are brilliant as well, and if nothing else, this film is at least a masterful performance piece worthy of appreciation. This film is definitely something else, though. For one, it’s a very immersive auditory experience, Nicholas Britell’s score complementing the film with a slightly unnerving recurring theme. Scenes are punctuated with bursts of classical, rap, or even Barbara Lewis’s “Hello Stranger”, and the music most definitely feeds into the particular aura the film projects. In addition, we have here a very unique visual experience, Barry Jenkins and d.p. James Laxton working with hues of blue to create the film’s most striking visuals. They evolve from handheld to Steadicam, the camera eventually gliding around the characters before framing them in portrait shots. This is the film’s signature technique, and there’s a sense of intimacy and raw emotion that’s drawn out from those shots. Finally, this is a relevant story that serves as a commentary on masculinity, identity, community, race, sexuality, and adolescence, asking us how external societal pressures can shape who we become and how we express ourselves. We see this play out in the gradual hardening of Chiron’s exterior, a process that occurs in part as a result of his contentious relationship with several others in his community. However, the beauty of this film is that we see the cracks in the armor as well, the light at the end of the tunnel that hopefully helps one begin to accept him or herself. We see the hope, the desire to connect, the intimacy that people are capable of sharing. We see naked honesty and the ability to forgive and the importance of the past. We feel the weight of what is unspoken. Most importantly, we understand that at the end of the day, we are all human in one way or another. wow.. you liked this one that much.. saw it last week with producers afterwards.. It just seems like a story you’ve seen before.. kid grows up in the projects.. kid’s mom is a druggie.. he becomes part of the street.. except for the one non-cliche part which I won’t spoil,,, i’ve seen it.. Nothing super special about any of the kids acting.. did like some of the adult performances though.. it was okay.. but a masterful performance piece it was not for me.. 🙂 Good to see you must be back in L.A. getting into advance screenings though!! YAY!!! Yeah, I get what you mean. And yup, I’m back in LA. I actually helped set up this screening by talking to A24! That is great!! Glad you are getting in with the studios etc.. it’s a lot of work to put into it, but the rewards are sometimes some great movies and you get to meet people. Where did they have it at? Landmark is still my fav. theatre.. ha! And hey if you set up any others..LMK ..would love to come see any & all advance screenings.. Mine was PGA so someone has to be a member & i’ve a few friends that are..so that helps.. good to hear all is well. It is nice to see a film about black people that is not about slavery or the civil rights movement , but it seems if it is not about slavery or civil rights it is about ,gangs, being “urban” or gay and black. It is getting good reviews, I am glad and I happy that you liked it PB! Yeah, I’d like to see that too! My fav of the year so far. Love the all-black cast, but I love even more that it isn’t a story that is solely black. Anyone can relate to its themes.